Every Monday for the next several weeks, we’re talking with a range of people — from restaurant chefs to home cooks — about holiday food traditions from different communities throughout Southern California. It’s a series we’re calling “Dishing Up the Holidays.” Last week we heard about a stellar mac and cheese recipe. 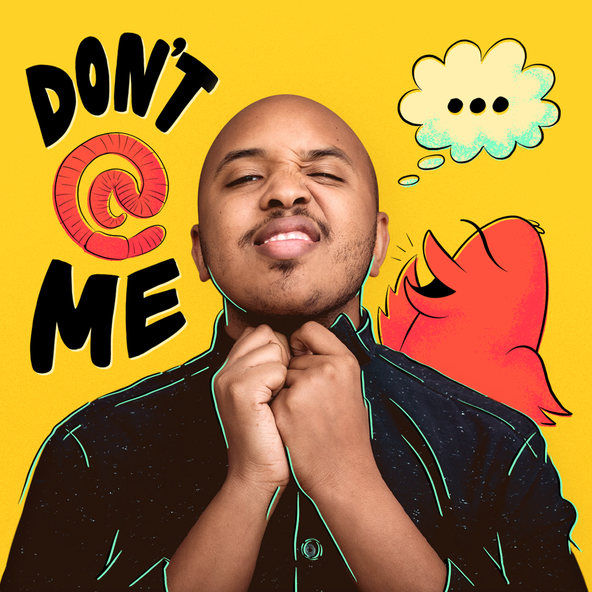 This week, we talk turkey with Javier Cabral. Javier is the West Coast staff writer for MUNCHIES, VICE’s website and digital video channel dedicated to food. He says Thanksgiving leftovers are never a problem in his family, because the way his mother cooks turkey is truly great — and unique. 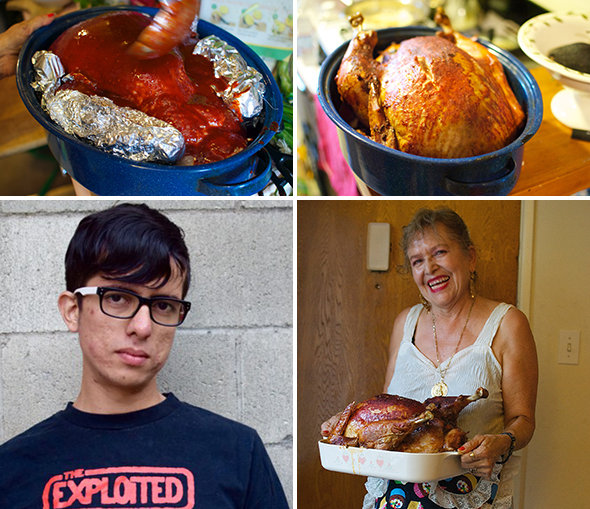 Javier says his mother, Maria Rosa Cabral, “acts like it’s no big deal that she has managed to crack the dry turkey secret of the universe.” He wrote about his mother’s Mexican-style turkey for MUNCHIES last week. Clockwise from upper left: Regular basting with the secret chile sauce helps keep the turkey moist and seal in the flavor; The end result: A juicy bird, with crisp, golden brown skin; Maria Rosa Cabral — Javier’s mom; Javier. Recipe is for a 16 pound turkey. Place both types of chiles in a bowl, cover with boiling water, and let sit until softened — about 10 minutes. Drain, reserving 2 cups of the soaking liquid, and transfer the chiles to a blender with the garlic, cumin, cloves, crackers, and soaking liquid. Puree until smooth. Heat oven to 450 degrees. Arrange neck and giblets on the bottom of a large roasting pan. Place turkey — breast side up — in pan. Season with salt and pepper and rub with 8 tablespoons unsalted butter. Roast until skin is golden brown, about 1 hour. Reduce oven temperature to 350 degrees, pour chile sauce over turkey, and cook, basting every 30 minutes, until an instant-read thermometer inserted into the thighs reads 165 degrees — about 2 hours. Transfer turkey to a cutting board. Pour pan drippings through a fine strainer into a bowl — discard solids. Make the gravy. Return 1 cup fat from the drippings to the pan and place over two burners of the stove. Heat over medium-high heat. Roughly chop 2 carrots and half a bunch of celery and add to skillet, along with one medium yellow onion, roughly chopped. Cook — stirring — until soft, about 15 minutes. Add flour. Cook — stirring — until smooth, about 3 minutes. Add stock, bring to a boil. Reduce heat to medium. Cook — stirring — until gravy thickens, about 15 minutes. Pour through a fine strainer into a serving bowl, and season with salt and pepper.